When Jesus heard this, he was amazed and said to those following him, “Truly I tell you, I have not found anyone in Israel with such great faith.” Matthew 8.10This week I want to conclude our two-part series on the idea of Biblical Faith, and I would like to begin by looking at Jesus’ amazement at the centurion’s faith in Matthew’s gospel quoted above. There are many insights we could extract from this story, but the one I want us to zero in on this week is that what Jesus was amazed at was not the greatness of this centurion’s faith quantitatively. Rather, Jesus was amazed at this centurion’s faith qualitatively. In other words, it was not the quantity of this man’s faith but the quality of this man’s faith that pleasantly surprised Jesus. I think this point cannot be emphasized enough. I’m currently at the Mountain View Camp Meeting here in West Virginia. (If you have been praying for these meetings with me, God is blessing tremendously the hearts and lives of those who have been attending my presentations. I’ll share more about this with you in next week’s ministry update.) This week, I met a dear soul who is in a wheelchair and has fourth-stage bone cancer. Her husband shared with me that some well-meaning Christian had told him that if a person is not healed it is simply because they did not have enough faith. I have to admit, it took every ounce of self-control I have not to become livid when I heard this. This idea has caused more damage in the hearts of those who have experienced this life’s trauma than we have space to recount. Jesus utterly and completely rejected this abuse of his own teaching on faith. 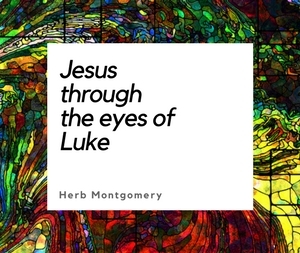 Jesus explained what He meant by little versus great faith in His answer to His disciples in the wrestling with the “why” of their inability to cast out a certain demon in this father’s son. Jesus did say it was because their faith was little, but it was because of the littleness qualitatively not quantitatively. For He immediately, so as not to be misunderstood, added, “If you have faith as small as a mustard seed, [quantitatively small] you can say to this mountain, ‘Move from here to there,’ and it will move. Nothing will be impossible for you” (Matthew 17.20). This may sound strange in our post-modern naturalistic world view, but instead of the casting out of this certain kind of demon being dependent on the disciples’ mustering up enough faith quantitatively, this type of demon took a certain quality of faith to be cast out. Now what does all this mean in light of what we shared last week? Faith is not something that simply takes place in our intellect alone. It’s something we do with our heart. And remember, faith—true heart-level faith—always has an object. Do you remember what we said that object was? It was God’s love! God’s character! God’s goodness! If you will go back through the Gospels and every where you see Jesus saying to someone, “Your faith has saved you,” substitute in the place of the word “faith” the phrase “your picture of God” (what you are believing about God), tremendous insights into Biblical faith will open up right before your very eyes. Tremendous insights! In other words, ‘Your understanding of the character of God—what you are believing God to be like—drove you to break every Levitical law regarding issues of bleeding and press through this crowd to touch me!’ The cultural belief about God’s character would have led her to despair. Remember, a gross misunderstanding of Deuteronomy 28 had led people to believe that if a person was suffering the way this lady was, it was because God was punishing her for something she did. This woman’s picture of God caused her to reject this way of viewing God, and Jesus affirmed her for it and even went so far as to say that it was her understanding of God’s character—her belief regarding what God is like in contrast to what everyone around her believed—that had drove her to this moment of healing! Just try it this week. Go back through the gospels and everywhere you see Jesus saying, “Your faith has saved you” substitute the word faith for “your picture of God:” what you believe God is like! Lastly, let’s close this week with Jesus’s words to the woman of Luke chapter 7. I want you to try what I’m encouraging you to do with this story here. I want to be clear. Faith is not meritorious, but to believe that God is as beautiful a being as Jesus revealed does have an intrinsic life-changing effect. This is what I believe Jesus was teaching us: Just as we were lost as a race by embracing a faith in the wrong picture of what God is like, we are restored by embracing a faith in the picture of our Heavenly Father that has its source in the person of Jesus Christ. Jesus is the exact representation of what the Father is like. If you’ve seen Jesus, you’ve seen the Father. Do you believe this? Then this is what Jesus referred to as faith. And this kind of faith, even though it is a mustard seed, moves mountains! It’s not about how much faith you have, but rather, it’s about what kind of faith you have. What kind of belief are you holding regarding God’s thoughts and feelings toward you? What kind of God are you believing Him to be? I hope these last two weeks have opened to you a deeper understanding of what Jesus called faith, and I pray that we all together will be able to grasp how wide and long and high and deep is the love of our Heavenly Father, to know this love that surpasses mere intellectual knowledge, that engages us on a heart level, that we too may be filled to the measure of all the fullness of what our God truly is. Live by this kind of faith. Live in Love. Love like Christ. And keep building the kingdom!